Thermoplastics like Wonderflex, Worbla’s Finest Art and KOBra Cast are the best materials for armor plates and parts, and for smaller parts like some accessories you can use Worbla’s Finest Art or Friendly Plastic. All these materials have one thing in common: you need heat to work with them. 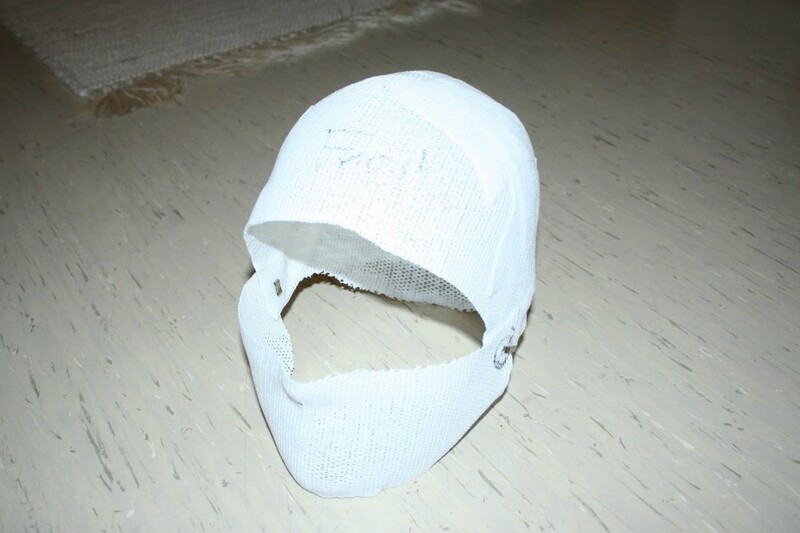 KobraCast is a kind of plastic bandage, it’s normally used for medical purposes, but can also be used for art crafting. You can use it to make a negative mold of body parts; the mold can then be covered with leather, Worbla or fabrics. If you cover it with Worbla or Wonderflex it will become very solid and can also look like real metal if you paint it carefully. To heat it up you can either use hot water (the method I prefer) or a hot air gun. For using it to cover body parts you should use a thin layer of gauze between the heated KobraCast and your skin to protect against the heat. 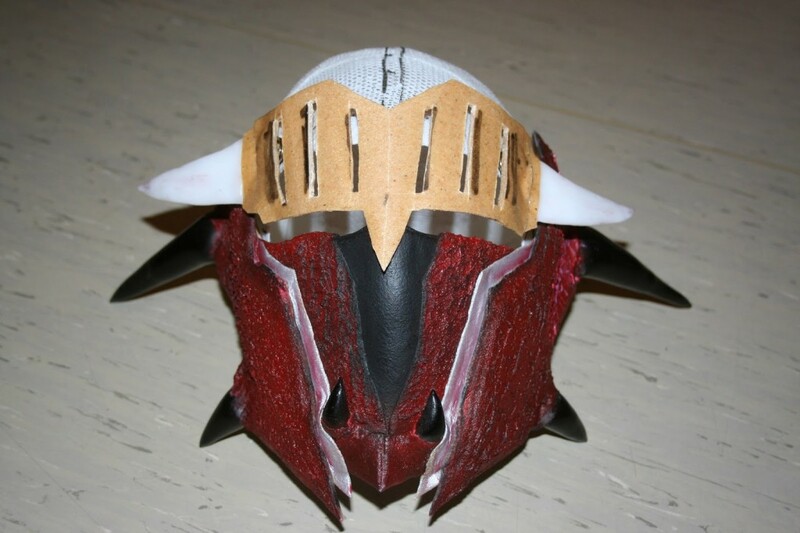 Here is a progress photo of the unfinished helmet. I covered the KobraCast base with Worbla’s Finest Art and Wonderflex, added horns made of friendly plastic, and gave it some texture using modeling paste.